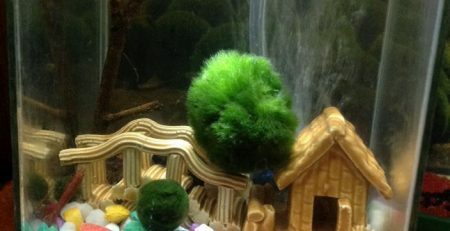 Aegagropila linnaei, most commonly referred to as the Marimo Moss ball, is a rare and unique species of filamentous green algae that takes on a distinctive spherical shape. These strains don’t require much care themselves, but they may make it difficult to keep the outside of your tank clean. That’s because all your visitors will be pressing their noses up against the glass to get a close up as they coo and smile. 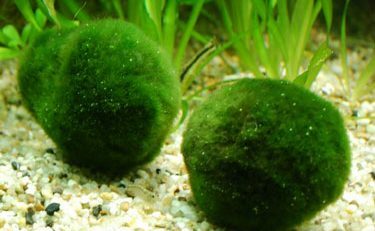 These velvety little buggers are cute, and they exhibit an ability to win hearts that’s reminiscent of the pet rock. In fact, in Japan, where they have been declared a national treasure, many people treat them and love them like pets. 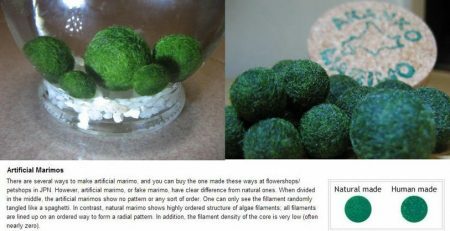 Marimo balls can be a special attraction in your own home with some simple care. Marimos don’t require much light, and caring for them can be as easy as monthly cleaning and rotation. To do this, I gently squeeze, roll, and rotate them in order to expel the water they have collected. 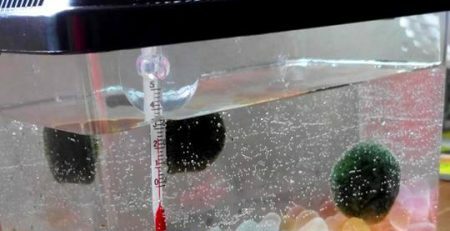 Often they will float to the top of the tank before slowly descending again. With this fun, simple act, you can prevent browning and encourage healthy, even growth. For the best results, you can store them in room temperature tap water, but remember to change it out every one or two weeks.If it gets warmer than 25 degrees Celsius, or 77 degrees Fahrenheit, in your home during the summer, it’s safe to store them in the refrigerator. However, they will not survive the freezer. You should also limit the direct sunlight they receive. 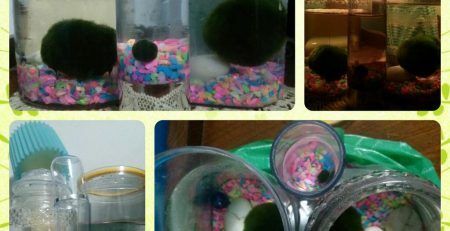 I really wanted to see my Marimo friends grow to their full potential, so I took some extra measures. 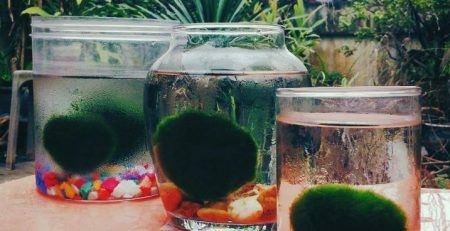 Elevated carbon dioxide levels spur plant and algae growth in many situations, and it turns out this is especially effective when you want to supercharge Marimo Moss. Do not add club soda directly to your tank. 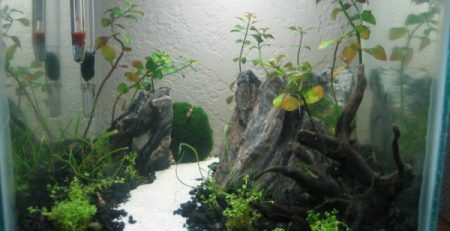 This is especially true if your moss balls share a space with fish or plants. Otherwise known for extremely slow growth, Marimos will keep you excited and engaged as they rapidly expand with the help of CO2. 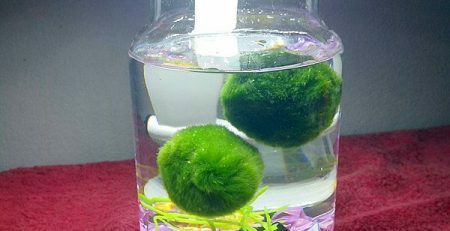 It is very simple to propagate Marimo balls. You can literally split them in half to double your count. 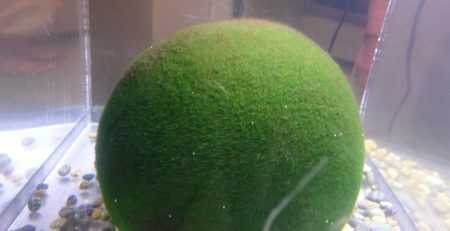 Make sure all of the inner algae strings are exposed to the light. They will remain dormant until the light triggers them to grow, so don’t place them split side down. Once they are receiving light, they have the ability to rejuvenate within four to six hours. 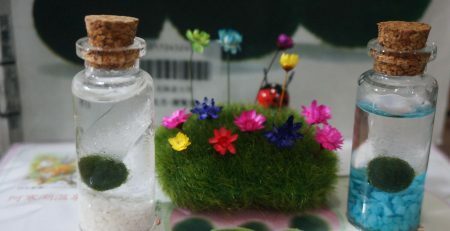 The Marimo is a protected specie in Japan, but you can find it from sources in Eastern Europe. They are only known to colonize in areas of Iceland, Scotland, Japan, and Estonia. The real skill in nurturing Marimos is maintaining their spherical shape. Rolling and rotating are the two techniques you need to master, and since it’s really fun to get your hands on their mossy exteriors, you will enjoy every minute of the practice. Think of it as lovingly stroking your favorite pet.